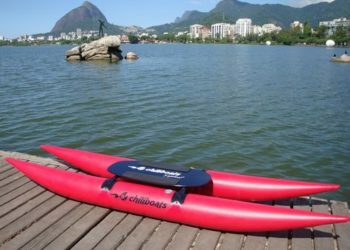 The story of Chiliboats merges with the story of its founders – Mateus and Izabelle. 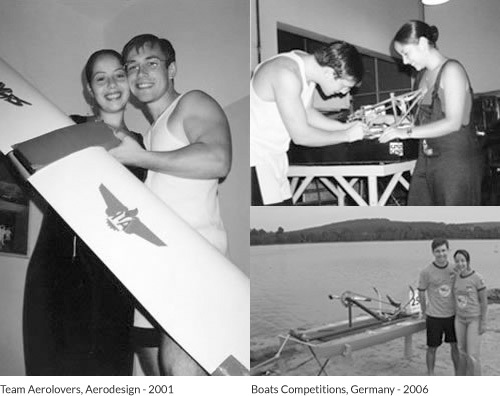 We are aeronautical engineers and met during graduation at Aeronautics Institute of Technology (ITA). 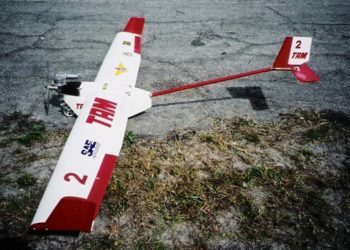 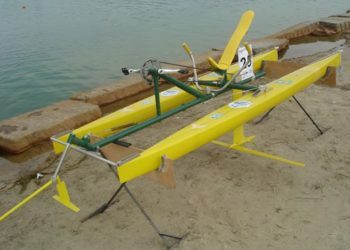 Since then we participate in national and international competitions, from radio-controlled aircraft to High Speed Waterbike. 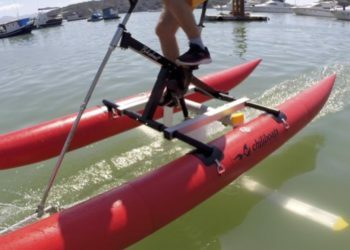 Click here to see the timeline of Chiliboats. 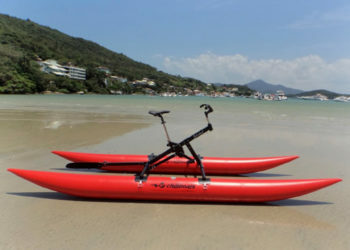 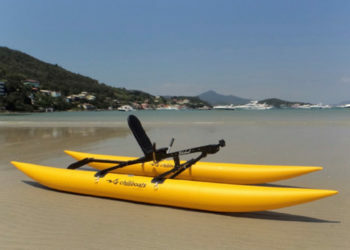 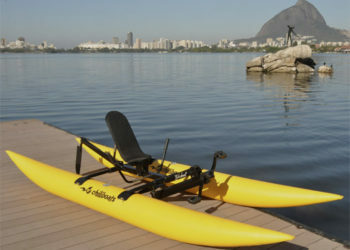 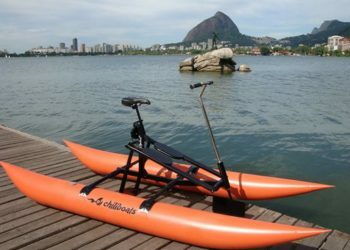 The idea of waterbikes emerged gradually. 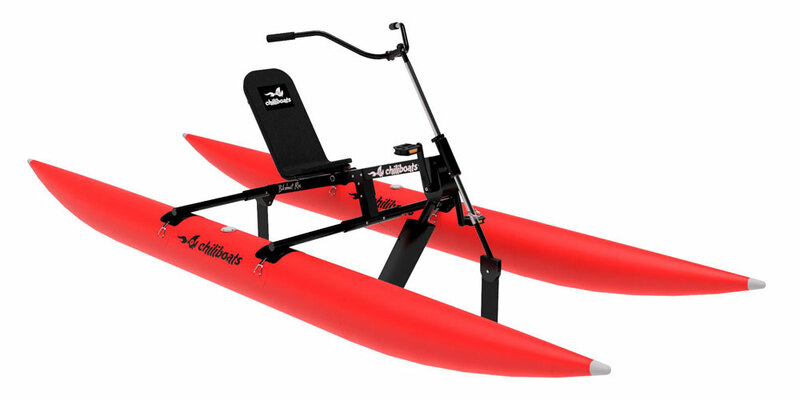 Our first project was a High Speed Waterbike – capable of reaching almost 30Kmh. 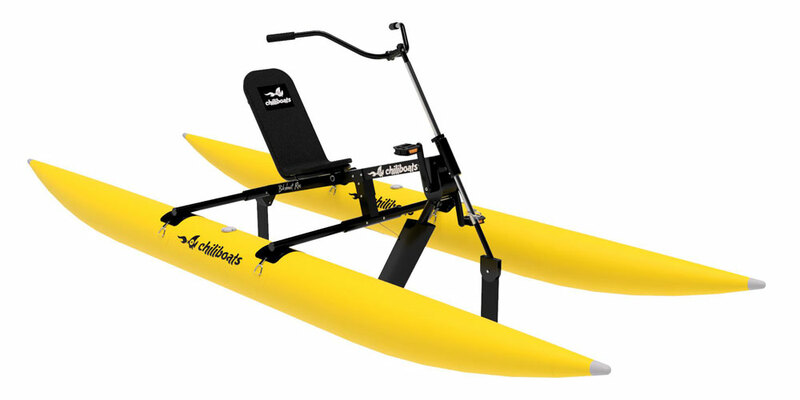 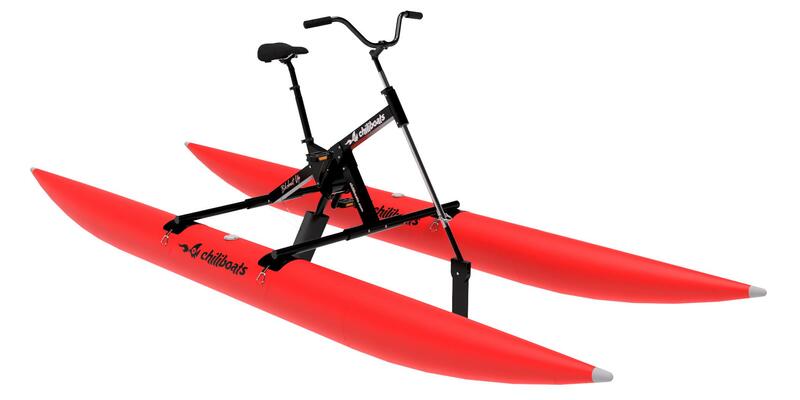 This waterbike was made specifically for the Human Powered Boats Championships competition (in Germany). 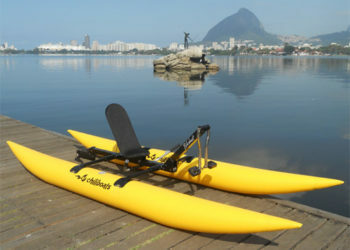 In 2007 it took the first place in the 100 meters and the 2nd place in the long distance race. 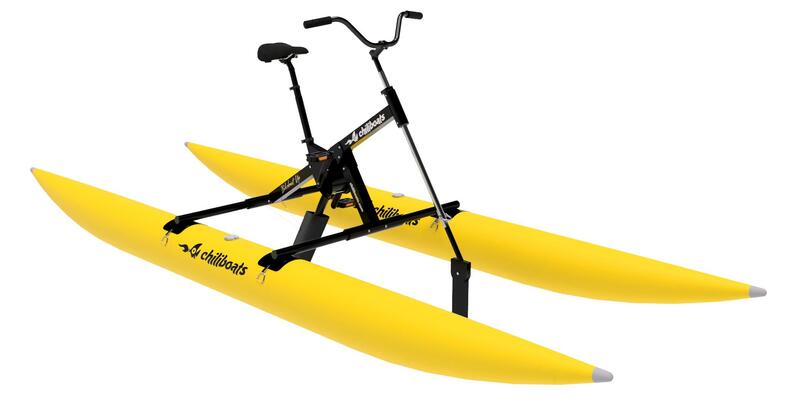 We found a gap in the recreational boats market. 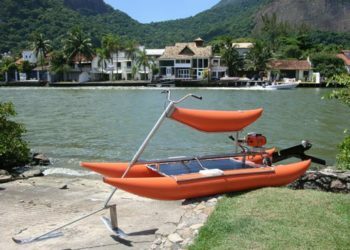 A boat that was compact, lightweight, easy to use and efficient at the same time was missing. 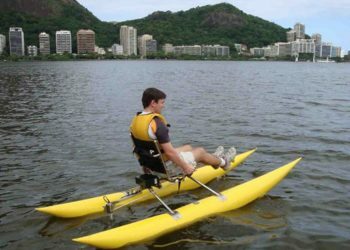 Then in 2007, we began to design a Waterbike that had these characteristics, using the knowledge gained in previous projects. 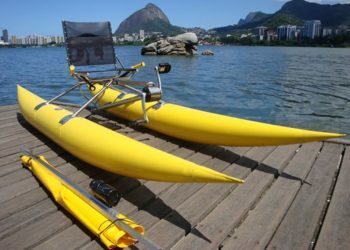 This project continued to be perfected, and today we have a boat that represents the best in terms of performance, functionality, quality and design – Bikeboat – a high performance Waterbike in two versions (rec and up). 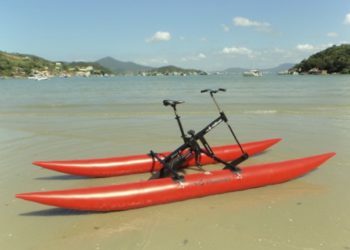 We brought the design excellence and the most advanced manufacturing techniques to create a unique product. 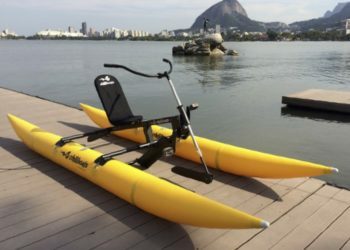 We have a dream that one day we will be able to positively impact many people, through our products, because we believe that they are able to provide fun, health and wellbeing through physical activity outdoors and contact with nature.